Despite past promises to the contrary, BlackBerry says it isn't bringing the BB10 operating system to its PlayBook tablet. It ain't easy being a PlayBook tablet owner. The initial release was plagued by a bevy of bugs and other rough edges -- the slate didn't even get a native email app until the second version of the operating system. If all that wasn't trying enough, BlackBerry CEO Thorsten Heins just pounded another nail in the tablet's coffin. BlackBerry will not be upgrading the PlayBook to BB10, backpedaling on past promises to bring its latest and greatest OS to the tablet. On a quarterly earning call this morning, Heins said he was "not satisfied with level of performance and user experience" of BB10 on the PlayBook, according to The Next Web. As such, he axed the project. There you have it. To be fair, for BlackBerry to upgrade a slate that came out more than two years ago is uncommon in the tablet market (except for Apple's iPads, most of which are still eligible for current versions of iOS); plus, BlackBerry has more pressing things to work on in order to right its wobbly ship. The company lost a boatload of money last quarter, and Heins doesn't even think tablets will be around for the long haul. Given that, you have to wonder: Is this the end of the road for the PlayBook experiment? Not completely. 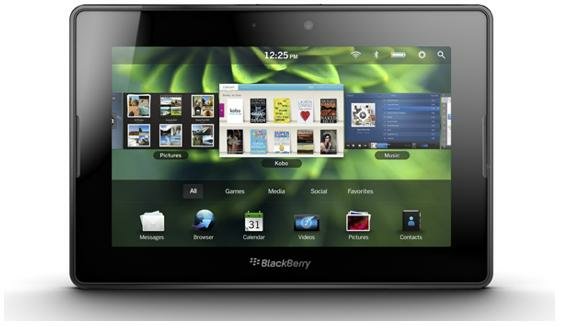 Heins also said that BlackBerry will "support PlayBook on the existing software platforms and configurations." Grasp at those straws while you still can, PlayBook owners, and then check out the list of TechHive's top-rated tablets.